KANSAS CITY, Mo. 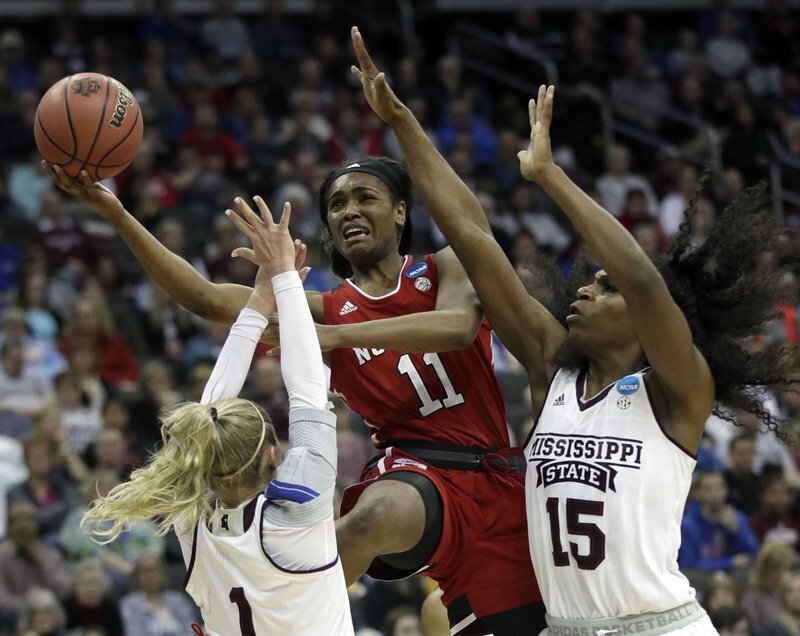 (AP) — North Carolina State tried to push Teaira McCowan off the block, then tried double-teaming the Mississippi State star, before ultimately trying to deny her the ball altogether. McCowan still scored 24 points on perfect shooting, pulled down 15 rebounds and generally made life miserable for the Wolfpack, and helped the top-seeded Bulldogs breeze to a 71-57 win Friday night and a spot in the Elite Eight of the women’s NCAA Tournament. 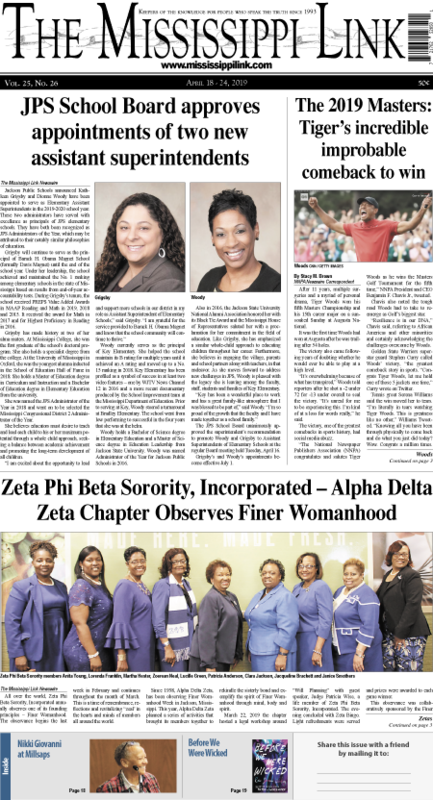 McCowan didn’t do it alone, though. Victoria Vivians added 14 points, Morgan William had 13 and Roshunda Johnson finished with 12, helping the (35-1) break their school record for wins in a season. They’ll have a chance to add to it Sunday, when they face second-seeded UCLA for a spot in the Bulldogs’ second consecutive Final Four. Kiara Leslie had 27 points to pace the No. 4 seed Wolfpack (26-9), who led early in the second quarter before coming undone. Foul trouble set in, Mississippi State clamped down defensively and Moore was hit with a technical foul as the Bulldogs pulled away. The Bulldogs, who lost to South Carolina in last year’s title game, looked as though they would cruise to the doorstep of another Final Four when they roared to a 17-7 lead in the first quarter. North Carolina State leaned on its defense, and one of the best rebounding margins in the nation, to claw back. Leslie’s 3 early in the second quarter gave the Wolfpack a 20-19 advantage. Mississippi State responded with another run, fueled almost entirely by its 6-foot-7 star. McCowan easily grabbed rebounds over the smaller Wolfpack, scored a series of layups and wound up with 16 points on 7-for-7 shooting in the first half, as the Bulldogs took a 36-41 lead into the break. Mississippi State still led 49-37 midway through the third quarter when the Wolfpack’s Akela Maize, who had tangled with McCowan all game, picked up her fourth foul. Moore came unglued and was slapped a technical foul, then continued his diatribe as the officials mostly ignored him. William made two foul shots and Johnson a layup for the four-point trip down floor, and the Bulldogs eventually pushed their lead to 20 points. They coasted the rest of the way to the Elite Eight. McCowan added to her school record for rebounds in a season. She now has 481. … The Bulldogs’ Blair Schaefer was scoreless on 0-for-2 shooting. She hit 92 3-pointers this season, second-most in school history. … The Wolfpack were just 9 of 27 shooting in the second half. North Carolina State still has not reached an Elite Eight since 1998, when the Wolfpack advanced to the Final Four in Kansas City. The end of their season likewise means the end for a senior class that helped resurrect a program picked to finish eighth in the ACC this season. Mississippi State needed a big night from McCowan with its backcourt slow to produce. But once the Bulldogs’ guards began to contribute, they breezed to their 10th win in the past three tournaments. The Bulldogs, whose only loss this season came to South Carolina in the SEC Tournament, head to the Kansas City regional finals against the Bruins. UCLA beat Texas 84-75 in the second game.